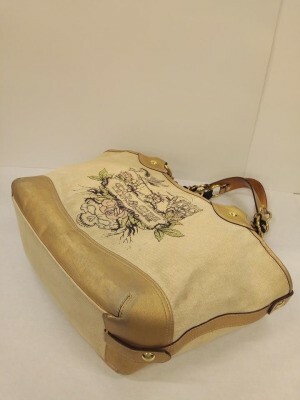 I have a Coach tattoo skeleton limited edition tote and as you can see the gold painting/dye on the leather has faded and worn. How can I restore this? If you mess with it before calling, they won't be able to to help you and if there was a warranty, it could invalidate it! Post back what they tell you!